How Do Radiator Heaters Work? How Do Steam Radiators Work? How Do Hot Water Radiators Work? Radiators draw heat from water or steam and use that heat to warm up surrounding air. By doing this they can effectively be used to heat up a room. Radiators are made from metal because it’s an excellent conductor of heat. 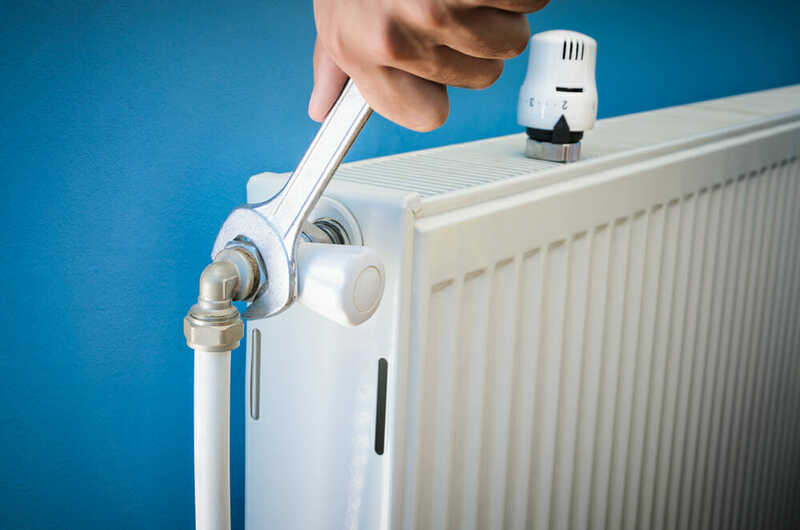 Hot water or steam travels through the radiator and the exterior fins naturally heat up over time. As those fins heat up, the surrounding air heats up as well. Radiators are one of the oldest and most effective ways of heating a home. They’re still used in buildings all over the world today and there are only a few options more effective being relied on. Radiators are still desirable because of their simplicity and their ability to heat a space evenly and comfortably. In order to get the most out of your radiator heating system, or decide if radiators are the right option for you, it’s important to understand how they work.. If you’ve ever looked at a heat radiator you’ll notice that most of them are heavily folded. They have a bunch of creases and are made of some type of metal like cast iron. The creases or folds are designed to increase their surface area so that the metal comes into contact with more air. It’s uncommon for a home heating radiator to have any sort of blower because it simply isn’t needed. As the air surrounding the radiator heats up it rises up and out of the way and new cooler air comes in to take its place. A rotational current of air forms around the radiator causing all the air of the room to slowly heat up. 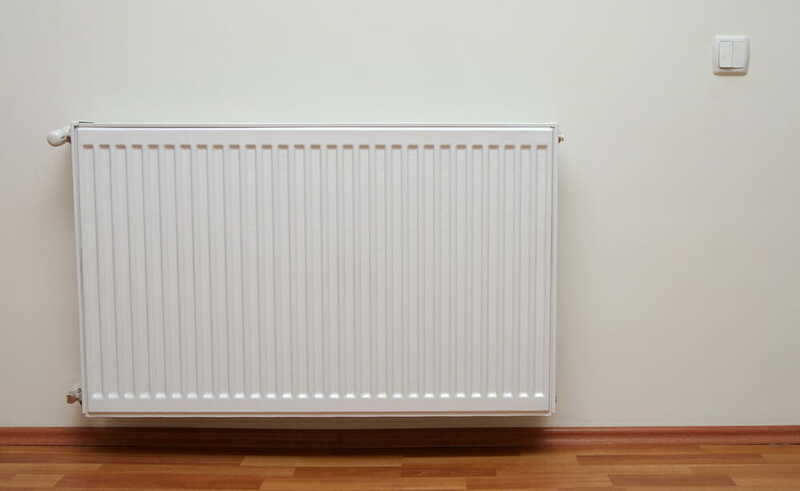 Steam radiators are one of the oldest types of radiators and are still commonly used today. Steam radiators are connected to a boiler given the task of heating up water. The boiler heats water until it forms into steam. The steam then travels up through the vertical pipe to the radiator where the thermal energy is given off through the fins. As the heat is lost from the steam, it slowly begins to turn back into water. Eventually the steam becomes water and flows back down into the boiler for heating once again. The cycle of heating and cooling repeats over and over again in order to spread heat to the rest of the home. Hot water radiators work in a very similar way to steam radiators, except without all the pressure created by the steam and with a more active approach to moving the heat around. Every radiator in a hot water system has an inlet and outlet. The inlet is to take hot water in and the outlet is to let the water back out. During the operation of the system, water is heated up somewhere in a hot water heater. It’s made very hot, but it never reaches boiling. After the water reaches the desired temperature it’s pumped from the heater and through all the radiators of the home. As the water passes through each radiator it loses some of its heat. Finally it becomes too cool to effectively heat up a radiator and makes it back to the heater once again for reheating. To warm up a home, the cycle occurs every time that temperatures need to be increased. The heater and pump are typically tied to a thermostat so they know when to kick on. That ensures that they are only operating when heat needs to be provided to the rest of the home. Unlike other heating systems, like forced air, where balance is built right into the original design of the unit, radiators need to be balanced in order to get a good level of heat output from all the units. This balance is achieved by controlling how fast hot water is able to flow through each radiator. The slower the water flows through the radiator, the more heat is given off. If it flows through the system faster, than less heat is given off from the water. Radiators functioning properly should give off approximately 10 degrees Celsius from one end to the other before moving on to the next radiator in your home. Testing for this is a simple process. Just leave a thermometer on the inlet pipe of the radiator when water is flowing through it to see what the temperature is and then put it on the outlet pipe to see what the water temperature of the leaving water is. If the temperature drops more than 10 degrees Celsius, the water is taking too long to travel through the radiator and giving up too much of its heat to this location. The solution to this is to open up the valve a bit more to let water flow into the radiator faster. If it’s not dropping enough, the water is flowing too quickly and the valve needs to be closed a bit. Balancing the system is vital when you’re trying to achieve a comfortable living space. If one heating radiator is giving off too much heat and others aren’t giving off enough, you’ll end up with hot and cold spaces throughout your home. Take the time to balance everything out so that you can get the most from your radiator system. Radiators must be kept clean throughout your home in order for you to get the most from them. Since heat travels from the water or steam in a radiator to the air outside, it’s vital that the heat transfer can take place unimpeded. Any dirt or dust that collects on the fins or plate of a radiator serves as an insulator and prevents heat from transferring from inside the radiator to the air outside. Simply wipe down your radiators on a weekly basis to keep dirt and debris from accumulating on them. They can be washed with plain water most of the time or a mild soap solution when trying to remove more difficult substances. Clean radiators are much more efficient than dirty ones and taking the time to wipe away the grime will save you money over time.